The earliest reference to the Parish of Liddington is contained in the Saxon Land Charter of 940 when King Eadmund granted the land to Adulf, his man. Many of the boundaries described in the charter may still be traced today and follow the current Parish boundaries. 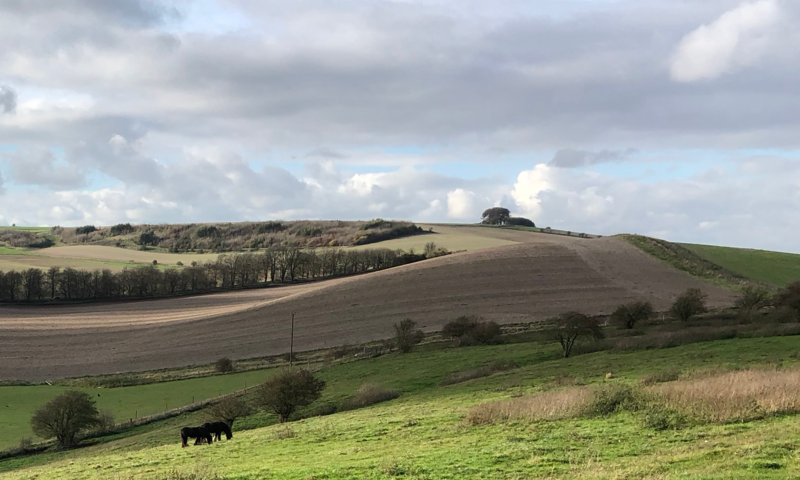 Archaeological evidence for people living on what was to become the Parish land is still clearly visible on Liddington Hill, the most prominent part of the Parish and the highest point in Wiltshire. Here the Iron Age hill fort to the west, the stand of trees known as Liddington Clump to the east and the Neolithic Long Barrow on Sugar Hill provide a 6000 year landscape back drop to the village itself. Liddington Hill with the “Clump” to the left, the Iron Age hill fort to the right and the scars of mediaeval farming on the face. 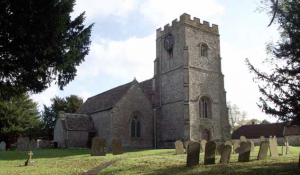 By the Domesday Survey of 1086 the Parish lands were in the possession of Shaftesbury Abbey and consisted of the Manors of Liddington and Medbourne with remote farmsteads to the south and north of the Parish. On the dissolution of the Abbey in 1539 the land and Manors were granted to Sir William Sharington of Lacock whose descendents held most of the Parish until it was sold to the Duke of Marlborough in around 1700. 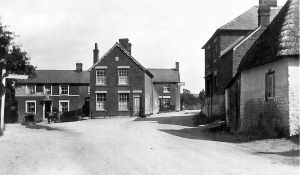 The farms, the village of Liddington and the hamlet of Medbourne remained part of the Marlborough estates until they were sold in lots at auction in 1877. At this time the farms and cottages of the Parish were purchased mainly by the tenants and local inhabitants. Throughout this period and continuing into the 20th century, agriculture dominated the lives of Parishioners with around 90% of the approximate 350 inhabitants directly or indirectly depending upon farming in the Parish. The village was originally focused around the triangular “Green” to the east, now bordered by some of the earlier village cottages, and extended to the west to the Church of All Saints and Parsonage Farm. The Green was located at the junction of the ancient long distance east-west route known as the Icknield trackway and the north-south route from Swindon to Hungerford, “The Street”. This latter road was turnpiked in 1813; the Toll house was built at its junction with the Icknield Way with toll gates across both roads. In 1939 the village, unfortunately, was split in two when the bypass for the Swindon-Hungerford road was built separating the settlement around the “Green” from that around the Church. The other ancient route of note is the Ridgeway, which crosses the Parish from east to west along the top of the chalk escarpment which forms Liddington Hill. In the past this was a long distance routeway along the downs, then a drove way for animals heading for London and latterly a long distance footpath. The oldest building in the Parish is the Church of All Saints, and despite the restoration in the late 19th century much of the 13th century building is still visible in the chancel and north aisle. The square, three stage west tower dates from the 15th century and the whole church building sits comfortably in the church yard surrounded by thatched cottages, the Rectory, Parsonage Farm and Village Hall. This was rebuilt in the late 20th century from the materials of and in the style of, the original village school, built in 1851, which occupied the site. The Manor house at Liddington stands to the east of the village on the source of the “Liden” brook which gave its name to the Parish. 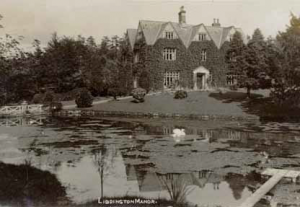 In the grounds of this late 16th century house is a lake which formed the mill pond for the upper of two mills on the brook, both of which have now been demolished. The surviving chalk rubble and thatch cottages, around the “Green” and church, from the 17th and 18th centuries are supplemented by brick built Victorian cottages and houses, erected after the sale of the Duke of Marlborough’s holdings in 1877. 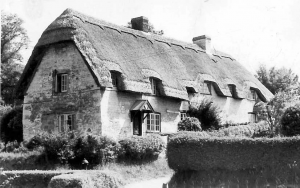 The Manor of Medbourne did not have a Manor house but consisted of a large farm house and a small number of cottages. The remote farms to the south remain part of the Parish whilst those to the north were lost to the expanding town of Swindon. 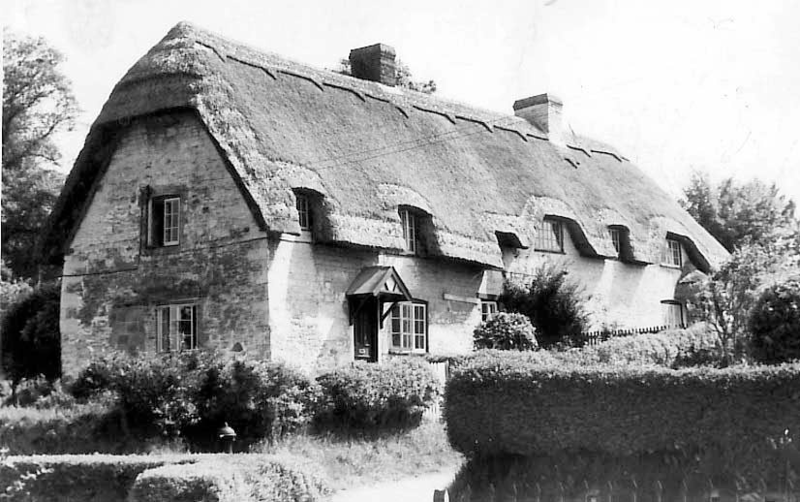 20th century development of private and social houses on open plots in the village, most within the conservation area of Liddington, retain the compact nature of the settlement and re ect the migration of the village economy from agriculture to residential for inhabitants who work in the nearby towns.